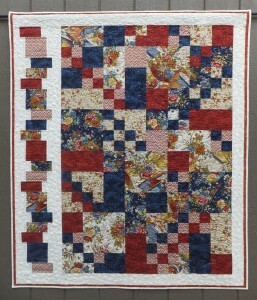 This features two quilts .One with a black and one with a white background. 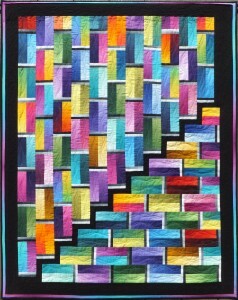 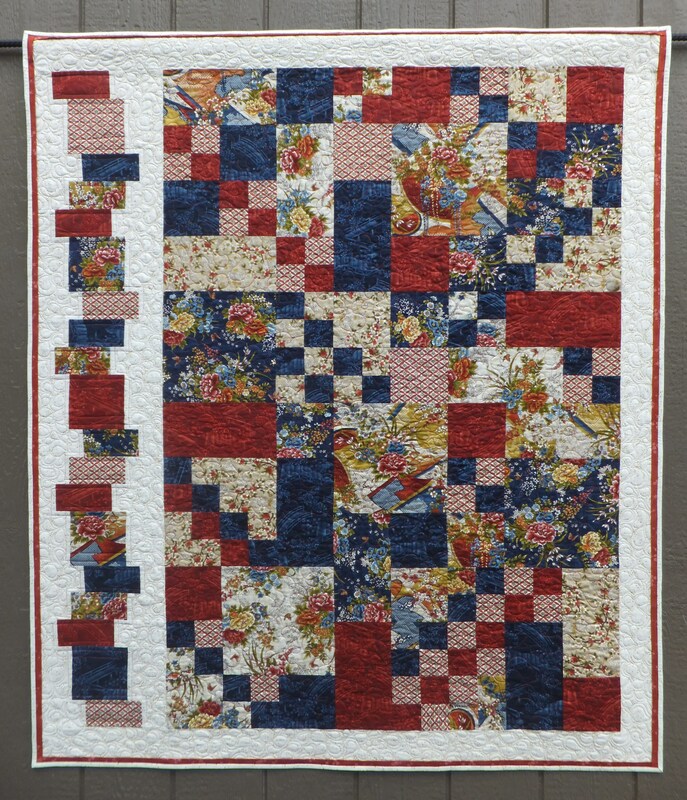 This quilt is made from a graduating fabric jelly roll which gives it beautiful dimension. 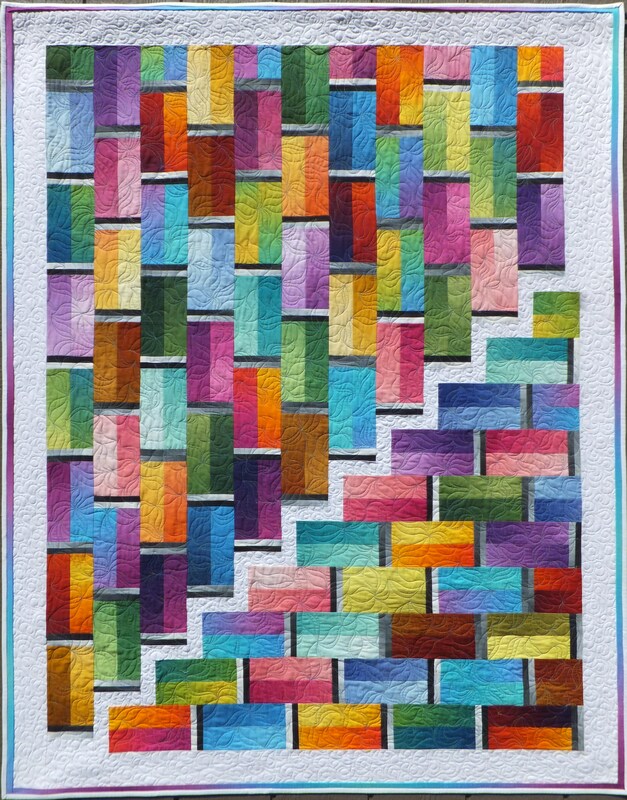 I used, Gelato by EE Schenck. 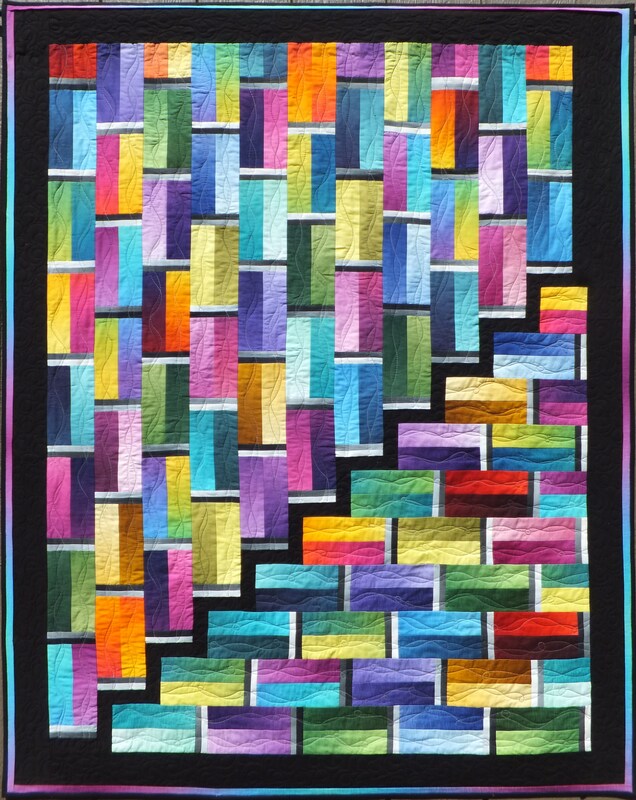 A strip pieced quilt with a modern look due to the Fracture. Because it is assymetrical it looks difficult but is surprisingly easy as it is made up of 12 1/2″ square blocks. 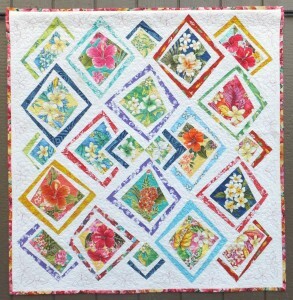 This quilt was made to teach at a “Quilting on the Beach” Quilt retreat this year here on the Big Island of Hawaii. 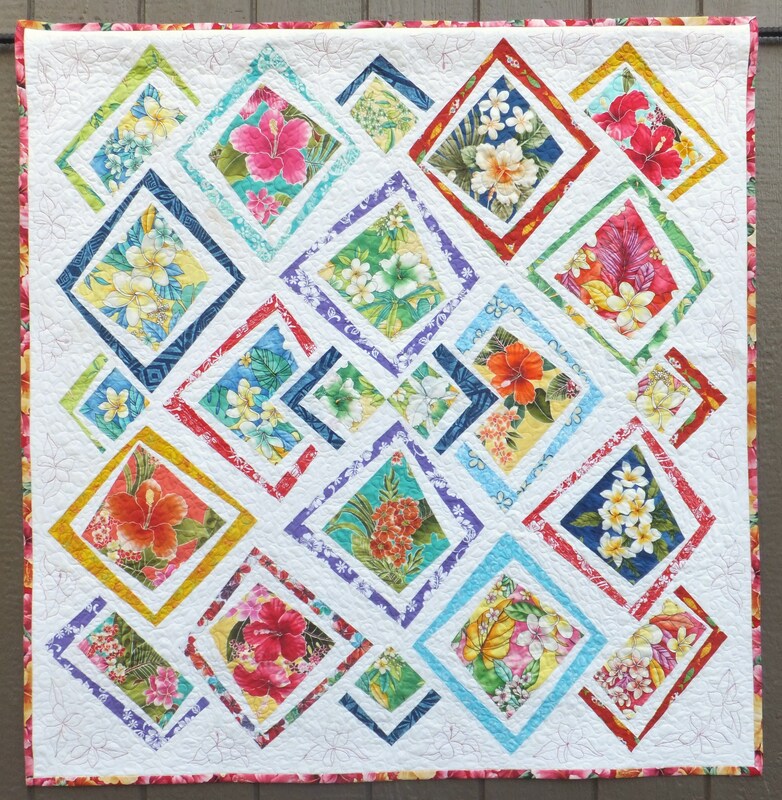 The Hawaiian quilting motifs in the setting triangles and corners are included in the pattern.